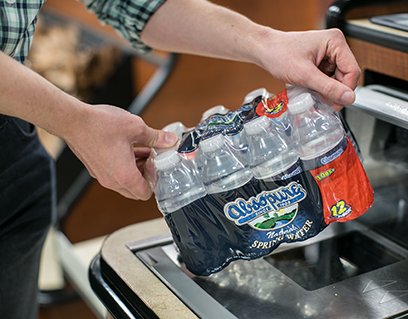 We take pride in our water. 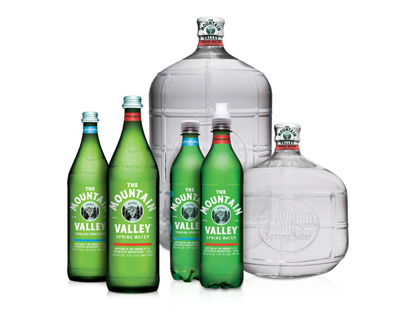 That is why we ensure the highest quality in every bottle, and satisfaction for every customer. 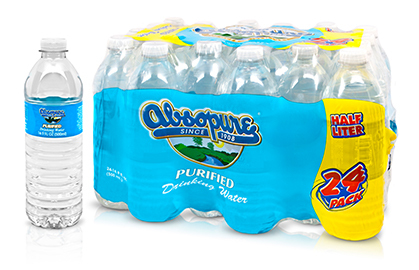 Absopure maintains strict bottling standards throughout our several state-of-the-art facilities. Each Absopure product is tested more than 10,000 times annually and taste-tested daily. Absopure Natural Spring Water gently flows from a deep, protected source. 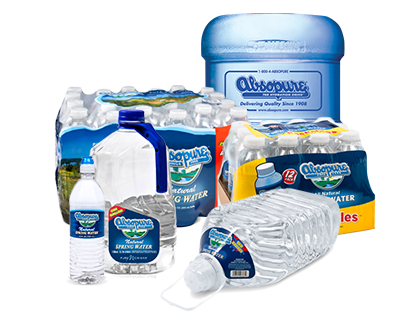 Through nature's own filtration process, Absopure Water slowly rises to the surface both fresh and delicious. 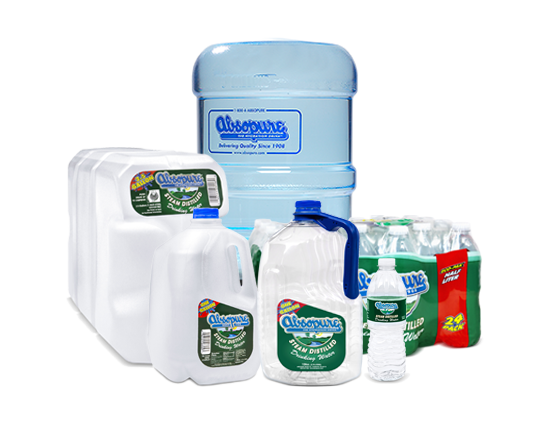 Absopure Purified Water is processed by either distillation or reverse osmosis, resulting in refreshingly clean and tasty water. Absopure Steam Distilled Drinking Water is heated to 212° F, turned into steam, then condensed back to pure water – free of minerals and impurities. Absopure Plus starts with pure vapor distilled water, and then adds electrolytes for a hydrating experience that tastes great. It's made with health benefits in mind for those pursuing an active lifestyle. 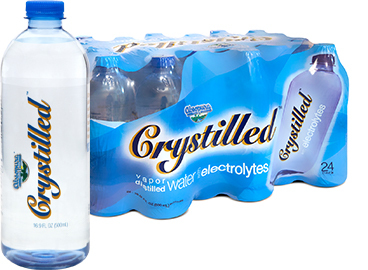 Crystilled vapor distilled water is like Absopure Steam Distilled Water, except that it’s enhanced with electrolytes for a great taste and superior hydration.